Includes: Return Sealink Ferry, 2 nights ensuite accommodation, all meals from morning tea Day 1 to Lunch Day 3, National Parks and all tour passes, pick up and return to your Adelaide accommodation and all 4wd touring. Day 1: Depart from your Adelaide accommodation at 6.45am, drive to Cape Jervis to meet the 9.00am vehicular Sealink Ferry to KI, arriving at Penneshaw at about 9.45am. Today we explore the southern coastline  after leaving Penneshaw we stop off to view the magnificent Pennington Bay before heading for Seal Bay where stop for lunch and then we take a guided tour onto the beach and walk amongst the Sea Lions. We then visit Little Sahara  to view and climb the huge naturally occurring sand dunes. Next on the list is Vivonne Bay and then Kelly Hill Caves where we take a guided tour to view the stunning stalactites and stalagmites in the underground cave system. This night we are staying at the western end of KI at the Kangaroo Island Wilderness Retreat in an ensuited room and restaurant dinner. Day 2: Today we have a very short drive to spend time at Remarkable Rocks and Admirals Arch and drive through the Flinders Chase National Park enroute to Cape Borda Lighthouse where we take a tour of the area and have our picnic lunch. 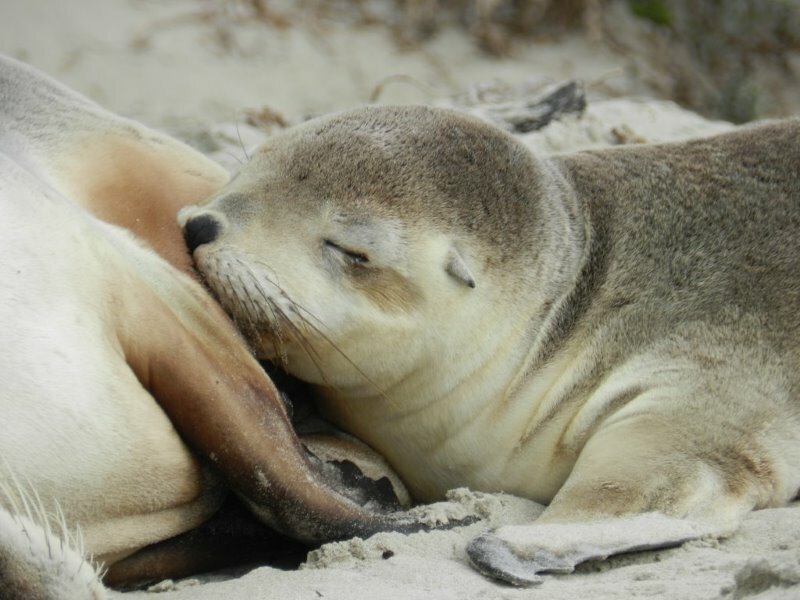 We then travel along the northern coastline via Kangaroo Island Wildlife Park at Parndana  where we can get up close to some beautiful Australian animals. Then on to Stokes Bay for a visit to the secret beach  followed by a visit to Emu Bay enroute to Kingscote. Staying at the comfortable Seaside Inn. Restaurant dinner in Kingscote. Day 3: After a look around Kingscote we spend the day exploring the eastern end of KI calling in to the Emu Ridge eucalyptus distillery and Clifford’s Honey Farm with a morning tea stop at the Deck Cafe American River. Next we follow the South East Road to the Historic Cape Willoughby light house at the most eastern point of KI. Then follow the Chapman River to Antechamber Bay where we take a stroll along the beach with great coastal views of this pristine unspoilt beach. On the return to Penneshaw we pop into Dudley Wines  Lunch at the Fat Beagle Cafe before we meet our 2.30pm ferry to Cape Jervis. Arriving in Adelaide at approximately 5.30pm.